Nature Stone provides a beautiful entrance to your home. The unique blend of custom stone epoxy is applied directly over existing concrete, permanently covering ugly cracks and stains. Nature Stone floors are also slip resistant, environmentally friendly, and reduce the amount of dirt tracked into your home. With a wide range of floor colors available, you can easily complement the overall design theme of your home. 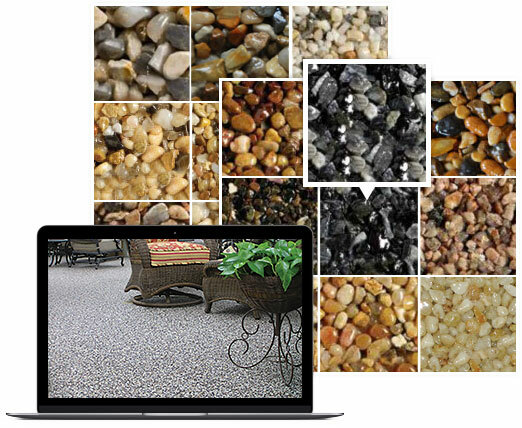 Transform your front porch with Nature Stone flooring. Take a look for yourself to see how Nature Stone brand flooring can transform any area in your home into an attractive, unique living space using our room planner. Our flooring is durable and will remain this beautiful for years to come!